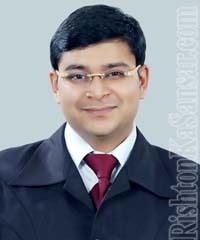 Father Occupation : Mohan M.D., (Dermatology), Professor& Head Of Dermatology Department., Medical College, Gorakhpur. He Has Served As Principal Of Medical College Of Gorakhpur And Ajamgarh. Mother Occupation : M.S. (Gynec. & Obs. ), Posted As Gynecologist & Professor In Gorakhpur Govt. Medical College.